I installed the BikeCAD 64bit Version on a Windows 7 System. It works fine, for the first time after the install. I saved the bike I worked on. Shutted the program afterwards. Tried to find the installed program, nothing in th start menu, searching for it, it is installed in a root folder, I'm not able to start the .exe file. The file that launches BikeCAD will be in the BikeCAD Pro 13.5 folder. It's called: BikeCAD Pro 13.5.exe. I'm not sure what might be going on with the missing BCAD file. First of all, I think we should try to get the program running again and see if future files save as expected. I trust they will. Feel free to contact me by email if you'd like to arrange a phone call or video chat. 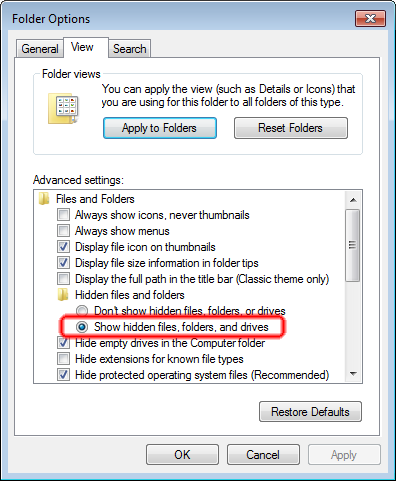 I know about the hidden folders, thats not the problem, all hidden folders are visible. When installing I couln't select where to install. What is strange, too? Is there a need to install as a administrator? I tried a reinstall, cause at the moments thats the only way how to start the programm. The .exe file in the Root Area is not possible to start with. When reinstalling and saving it also is not appearing in my Explorer. I choosed the desktop, and added a new folder (directly in the sve options within Bikecad), the folder and the file within are not visible. I couldn't find them in my explorer. The 64 bit version of BikeCAD will not give you the option to select the installation directory. You also do not need to install it as an administrator. So to be clear, you are only able to get the program to run after installing it? Once you close the program after running it the first time, you cannot launch it again without reinstalling it? Furthermore, once you run it, you seem to be able to save files, but then you can't find those files on your system afterward? Have you used Explorer to search your system for all files with the BCAD extension? Because I don't know what could possibly be going on here, I've added another version of BikeCAD to your account. This version is labeled BikeCADPro_13.5_SetupStream.zip. The version you've already tried does not require that Java be installed on your operating system. That's why it is the default version. However, if for any reason a person has issues with that version, the BikeCADPro_13.5_SetupStream.zip version is worth a try. To use it, you'll need to install Java on your system. Java is available from Java.com. You'll also need to choose Run as administrator when installing this version of BikeCAD. You'll also have the option to install this wherever you like. However, I recommend the default location and would warn you not to install it in Program Files. Thanks for this new version, but, doesn't even work. Interesting is, I could see, when I install, files from the other BikeCad. But it does not install any executable program. Maybe it does, but I could not find it in the explorer (yes, I have all folders visible). Seems like I could not transfer all the data I already put together. Does not really make me happy, but I would like to try to install on another system? Seems like this system does not want to run with it. This alternate version requires that you have Java installed on your system. Once you have Java installed, Java will execute the JAR file which is how this version of the program is distributed. While I'm confident you should be able to run this version on your system, I do feel like you'll have a lot better luck with any other computer. It seems like there is something else going on there that is not related to BikeCAD. I know you have to tell the Java part again, but you can be sure, I installed JAVA, downloaded the newest Version from their website and did it all in my Administrator environment, just to make sure its not cause of that. Was not working, the installation in the system was done within a second, and the Laptop is not a new one. I also should say I never had any issues with other programs on that Laptop, it runs for years now, without problems occuring. I'll try on the new one, but I'm not very happy with it. I thought of some kind of remote diagnosis, but I'm not sure if thats something you would be into, the issue seems to haven't happened before so not sure if it is important.